Electronic Gifts & Gadgets for Kids…and GIVEAWAYS! 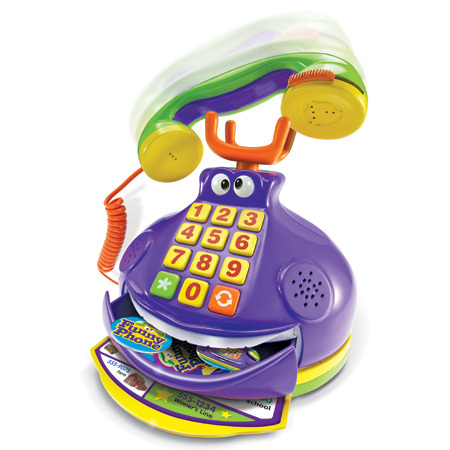 Looking for some fun electronic gizmos and gadgets for your kids this holiday season? Take a peak at a few I had a chance to try out recently. And enter two great giveaways! 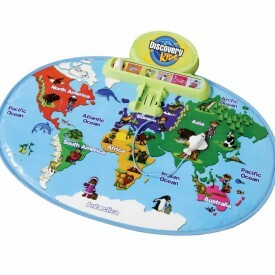 * COUPON CODE ALERT *: Get 10% off a purchase of the My Discovery World Map at Discovery Channel Store by using MWS code “MAP10” at checkout. Offer valid through 1/31/2010. * GIVEAWAY! * Want to win your own Billy Fun Wheels? See entry instructions below. 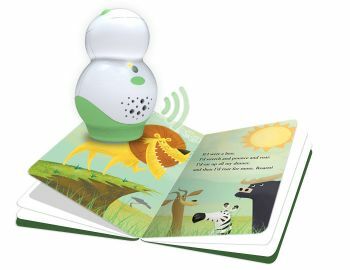 b) which giveaway item your little one would be most excited to receive – the computer or the car. One entry per person. Entries must be received by Monday 14th, 11:59pm PST. One winner will be chosen at random for each of the products. Winners must have a US shipping address. Disclaimer: A sample of each product was provided for the review by each respective company. The gift I was MOST excited about as a kid…. It’s a tie between POGO STICK and Rock’em Sock’em Robots! I asked Santa for (and received) a kid’s toy laptop. I LOVED it!!! My daughter already loves SuperWHY, so I think she would love the computer. Great article! My kids are older but I found some great ideas to pass on to my readers and will send them over here! 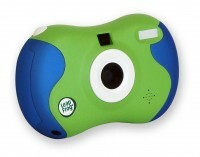 I have always LOVED the LeapFrog products and the interactive map seems like a great gift. Actually, all these are great ideas for fun and learning at the same time. My kids are past the computer stage but I bet even they would love the Billy Fun Wheels. Two gifts stand out in my memory, one I was thrilled to receive and the other not so much (at the time). First, was the Velvet doll with the hair you could wind up and make short. Can’t remember but I think she was the sister of the popular Chrissy doll. Second, a phone with a new line to share with my older sister. I was a little too young to appreciate at that time and it was not on MY list. But within 6 months, totally appreciated it! My boys would love the Super Duper computer-I have been waiting for this item to come out for years! I remember being nuts for my cabbage patch doll – Mitch! 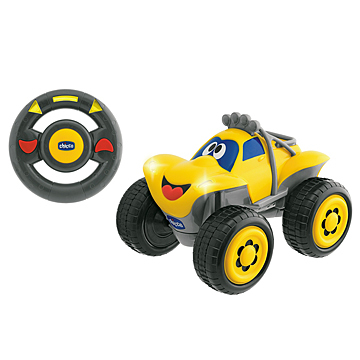 I think my little man would love the billy fun wheels by Chicco. Might even have to fight his daddy for a turn. I remember getting excited when I received my first bicycle with a banana seat and white basket decorated with daisies. my daughter would love the computer. As a kid I thought the speak & spell was really cool. My kids would most enjoy the Super Why computer. B) My 3 year old boy would LOVE that billy fun wheels by Chicco!!! As a kid I remember being so excited to see a She-Ra castle under the tree ðŸ™‚ My kids would love the billy fun wheels. a)Fave gift was a rataan baby stroller. 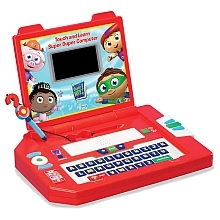 b)My son would love the SuperWHY Touch & Learn Super Duper Computer! my daughter would love the computer! As a kid my favorite toy was the barbie dream house! My favorite gift as a kid was when I got my ski’s, my sent me on a scavenger hunt around the house. The final clue was – the place where you throw trash and you think Mom does not know, the ski’s ended up being behind the couch. My son Cooper is a huge Super Why fan and he has been asking for his own computer. I remember getting Ninja Turtles the most I loved those things. They just fueled my imagination. I remember building tents out of blankets and building a tiny city underneath for my turtles. My son would love the Billy Fun wheels the most. Thanks for the shot at winning. My son would love the Chicco Billy! 1. I remember being most excited about my very first Cabbage Patch Kid doll when I was 5. She had red yarn hair, her name was Sophia, and she came EVERYWHERE with me for years to follow! I remember being SUPER excited about getting a Cabbage Patch doll. Loved her soooooooooooooo much! I think my son would love the Billy Funwheels the best – and I’d love to give it to him! Great giveaway! I have always been fascinated with computers. I want to learn more. Can you guys recommend me any good online webinars about flash or web design in general? Hello There. I found your blog using msn. This is a really well written article. I will make sure to bookmark it and come back to read more of your useful info. Thanks for the post. Iâ€™ll certainly return.